Desislava Dobreva is one of the brightest Branding specialists to find in the Online World. Born in Bulgaria, the young Business Owner faced cyberbullying, stalking and severe depression. She went from one of the poorest countries of Europe to one of the most expensive: Denmark; to study and build a new life for herself. After harassment, side jobs, no food, and tears, she decided that it was time to change her life and create for herself the future that nobody believed she could have. 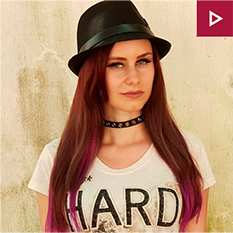 Today, Desislava runs a successful branding agency and one of the most respected Online Community for Entrepreneurs, the Badass Brand Squad. What are the options? – Which membership site-type suits your business best?